I parked up near Ethan’s nursery after work and went for a little walk around the block in search of a dog. 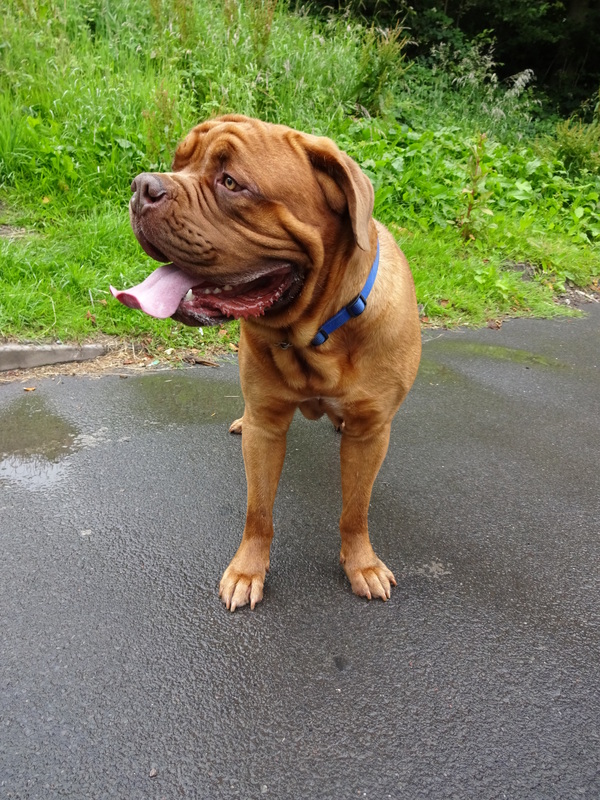 I didn’t have to walk far when I noticed an amazing Dogue De Bordeaux up one of the side streets; I was very excited and hot footed it down the street to meet him! As soon as handsome Killian saw me he came bounding over to say hello, what a friendly boy! He loves meeting new people and getting lots of fuss, he’s a big softy! Killian’s owner did a lot of research before he got Killian to make sure he knew everything he needed to! 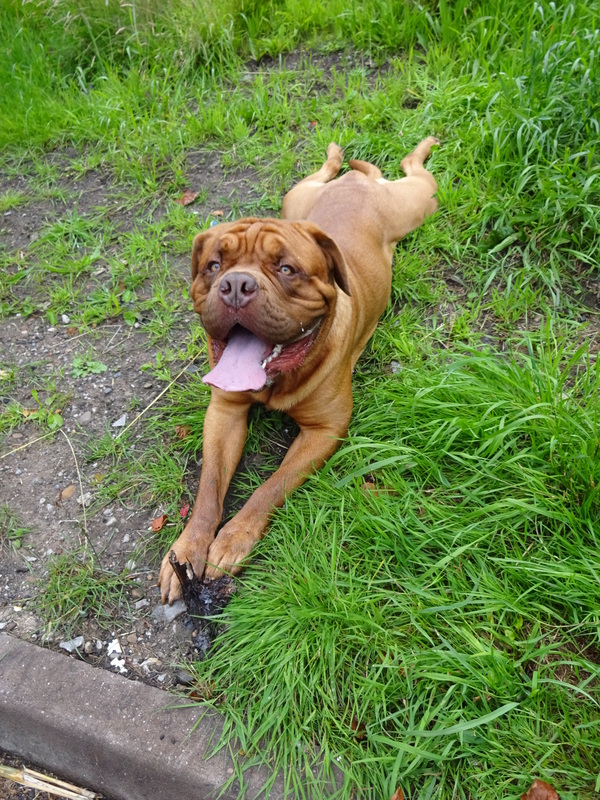 Kilian’s doggy dad is a champion Dogue De Bordeaux. Favourite food: Heights farm dog food, he loves it! Favourite toy: T-towels! He loves to dig them out of the radiators and throw them around! Favourite pastime: Walking, meeting people and play fighting with his human daddy! Omb I am in love, what a handsome pooch!